I never considered running to be an enjoyable sport. It was the one sport while growing up that I continually stayed away from. “Run Days” at school were definitely not my favorite. I would always try to come up with any excuse not to participate. Fast forward to present day, here I am getting ready to take part in my first ever 5k race. I never thought I would see this day come! 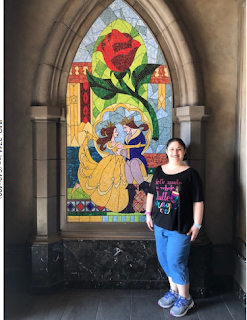 To sweeten the deal, I will be doing my first race in Walt Disney World (did I mention I am also a huge Disney fan?!). It is always a good idea to have a running partner, someone to train and do the race with. Your partner can help to keep up motivation, provide encouragement and offer support. Miss Lauren from the Lawrence Youth Services department joined me for this adventure. This year marks the 50th anniversary of the first flight of the Concorde, the world’s first supersonic commercial jet. Developed jointly by Britain and France, the Concorde was a remarkable technical achievement, staying in service until 2003. Yet it failed to usher in an era of widespread supersonic commercial travel. Russia and the United States also had programs for supersonic commercial aircraft in the 1960s. The Soviet Tu-144 entered service but was not very successful, and development of the Boeing SST was canceled after government funding for the project was cut in 1971. 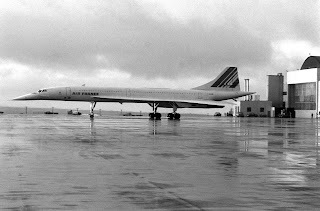 While subsonic commercial aircraft continued to gain in performance and carrying capacity (the Boeing 747 also had its first flight in 1969), the Concorde entered service only because of large government subsidies from France and Britain and, in all, only 14 aircraft were ordered by the two countries. British folk-rock group Fairport Convention’s version of the traditional Scottish ballad “Tam Lin”—included on their 1969 album Liege & Lief—is, lyrically, a feminist affirmation, limning a world over which men still think they have control but seem obtusely and, at times, almost comically unaware of who wields the real power: women. This scarcely makes the Fairport Convention version of the ballad unique—most versions of "Tam Lin" have this proto-gynarchic torque to them; but the melodies of the various versions of the ballad can differ widely. I myself am partial to Fairport Convention’s arrangement and melody; moreover, Sandy Denny’s voice, transcendent as usual, truly soars throughout the seven minutes and thirteen seconds of FC’s take on the ballad and she manages to breathe a separate life into each of the characters, be they female or male. 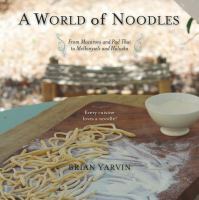 If you are thinking of learning to knit, improving your knitting ‘chops’, or taking up knitting after a longish break, then check out all these resources – books, magazines, DVD’s, knitting groups, and the web. Since you are reading this, you probably already know that Mercer County Library System is a terrific community resource. But we are not the only county government department that provides a great deal of services and information for residents and visitors to the Capital County. Like the library, some departments maintain their own websites and social media accounts, while others have pages on the county’s main website. Almost all of these websites have had recent updates to get a fresh look and add more content about the programs that are offered, so let’s take a look at Mercer County on the web. Keep in mind that you can also find information about the programs and services on the county’s social media pages, just look for Mercer County, New Jersey or the specific department, as many have their own accounts. You may have heard of the Caldecott, Newbery or Coretta Scott King awards for children’s literature, but you may not have heard of the Amelia Bloomer Project. Named after women’s rights advocate Amelia Bloomer, the Amelia Bloomer List is created every year by a committee of professional librarians who select the best feminist literature for young readers ages 0-18. 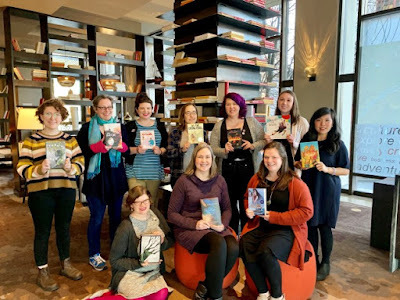 In January 2019, the committee (made up of ten librarians) met at the American Library Association Midwinter Meeting in Seattle to discuss, debate, and ultimately select which books (published within the last eighteen months) would make the list. As a committee member I can tell you that this experience is both exhilarating and exhausting. Throughout the year leading up to the Midwinter Meeting, committee members must read and nominate potential titles. This past year, we had a total nomination of 100 titles with 68 titles making it onto the official 2019 list.